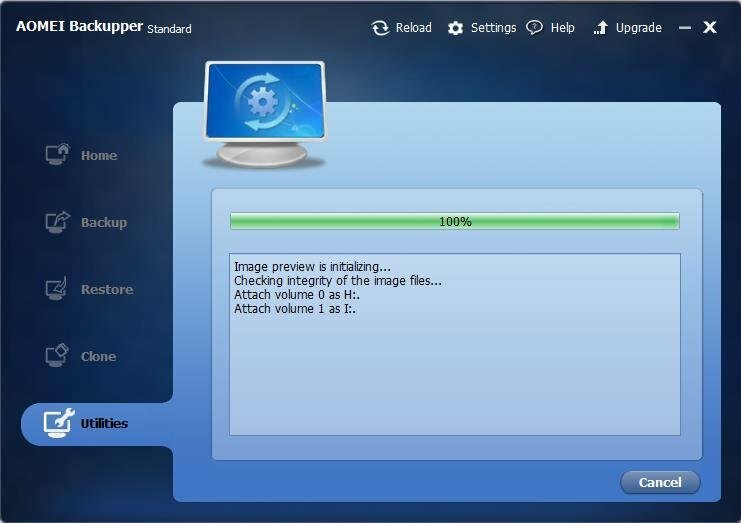 How to Explore Image with AOMEI Backupper? The Explore Image feature in AOMEI Backupper allows you to explore backup images from Windows File Explorer as easy as visiting a folder. 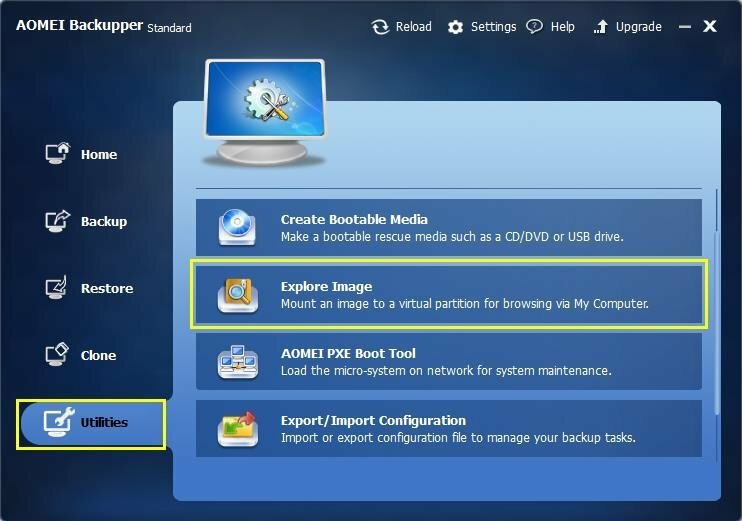 This Explore Image feature will mount system backup image, partition backup image or disk image as virtual drives, similar to Daemon tools. you can view its contents in Windows Explorer and third-party file manager in read-only mode. Let's see how to extract files from Windows image backup in detail. How to Explore Image Step by Step? 1. In the main Tab page, select Utilities and then select Explore Image. 2. Select the backup that you want to explore from the list box, and click Next to continue. 3. 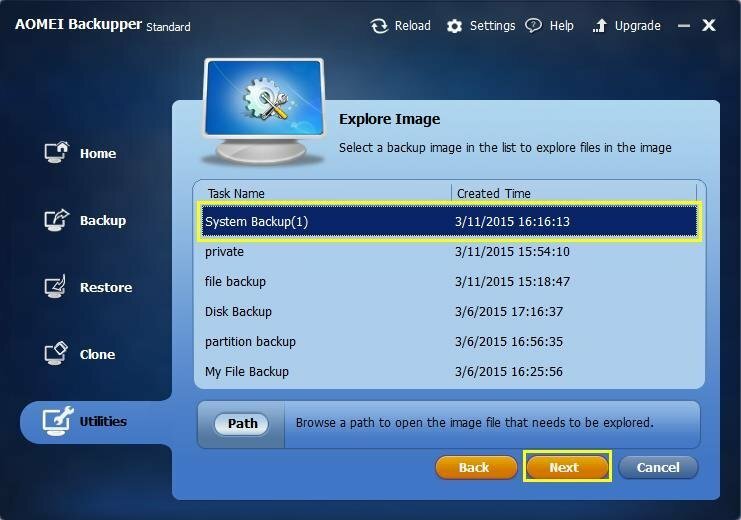 Select a backup point and click the Next button to explore the backup image. 4. 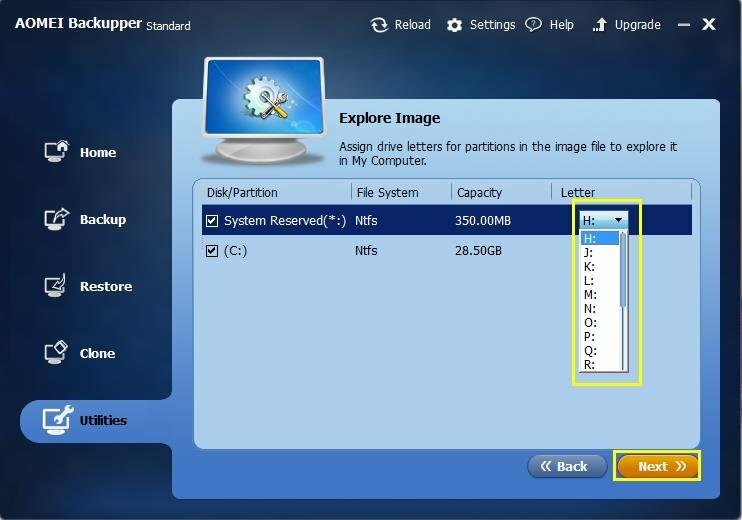 Assign drive letters for the image partitions, and click Next to mount the image. 5. Wait for the process to complete and click Finish. You may now explore the contents in your backup image via "Windows Explorer" or "My Computer" ("This PC" in Windows 10). If you want to unmount the mounted drives, go back to Explore Image section, select the given drive letters, then click Detach. For File Backup image file, it is not supported to mount it as a virtual disk, you can only use this feature to restore the contents to other location.